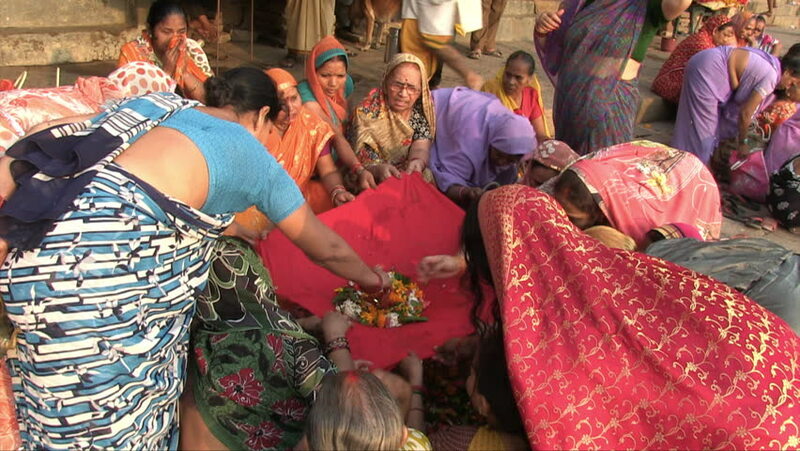 Varanasi, India, October 2011: Women making a flower offering in a Ghat on the Ganges River. hd00:21NAGPUR, MAHARASHTRA, INDIA 26 OCTOBER 2017 : Unidentified traditionally dressed indian women pray and devote celebrates Chhath Puja Festival on riverside. 4k00:08Bumthang, Bhutan, March 2016: Performers dancing at festival at Jakar Dzong while holding ceremonial hand bell. hd00:10Traditional Holi celebrations at Vrindavan - March 19, 2016: crowds covered in colorful powder in the streets of Vrindavan during Holi celebrations, March 19, 2016, Vrindavan, Uttar, Pradesh, India. 4k00:14CHONBURI, THAILAND - 2018, 18 FEBRUARY : Unidentified peoples worship 'Maha Uma Devi' on Teachers' day observation for people of Indian in Thailand. hd00:11JODHPUR, INDIA - 15 FEBRUARY 2015: Indian couple getting married at a traditional hindu wedding in Jodhpur. hd00:13XI'AN-DEC 21: Miss tourism learn chinese traditional drama onstage in theater, Dec 21, 2011, Xi'an city, Shaanxi province, china.